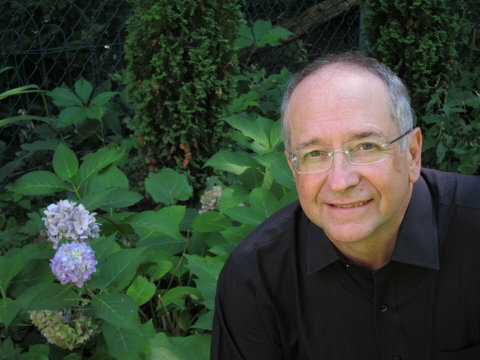 Artistic Director Peter Schubert has conducted The Orpheus Singers since 1991. He came to Montreal from New York City, where he founded and directed Opera Uptown and The New Calliope Singers, a group renowned for its commitment to modern music during its fifteen-year career. The group presented over fifty premieres and released a CD entitled “New Cantatas and Madrigals” (CRI 638). In addition to The Orpheus Singers, he directs VivaVoce, a professional vocal ensemble founded in 1998. Peter Schubert studied conducting with Nadia Boulanger, Helmuth Rilling, Jacques-Louis Monod and David Gilbert and has been assistant to Gregg Smith and Agnes Grossman. He has published an edition of Renaissance Noels as well as his own innovative arrangements of five popular Christmas carols with C.F. Peters. He was an adjudicator at the 2000 ARCIM festival. Schubert holds a Ph.D. in musicology from Columbia University. Currently an Associate Professor at the McGill University Faculty of Music, he is the author of a textbook on Renaissance modal counterpoint (Oxford University Press, 1999).